How to import my training courses from other eLearning tools to ProProfs? With ProProfs you can re-use your existing training materials. 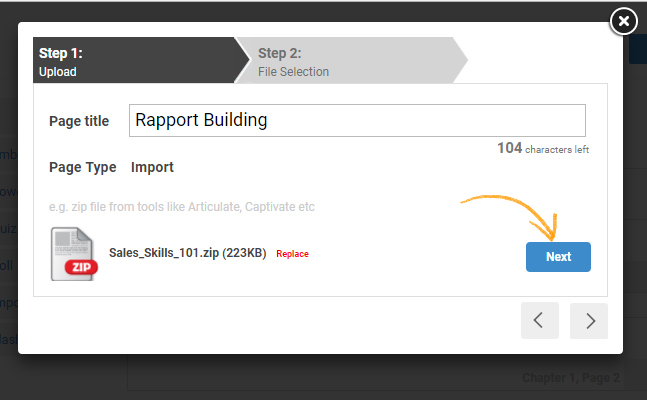 Simply upload a zipped file containing the training materials you may have created using other eLearning tools such as Articulate, Captivate, etc. You can publish the content from your Articulate or Captivate account into ProProfs Training Maker. This prevents you from rewriting the content to create courses. ProProfs Training Maker is TinCan, SCORM 1.2 and SCORM 2004 compliant learning management system. 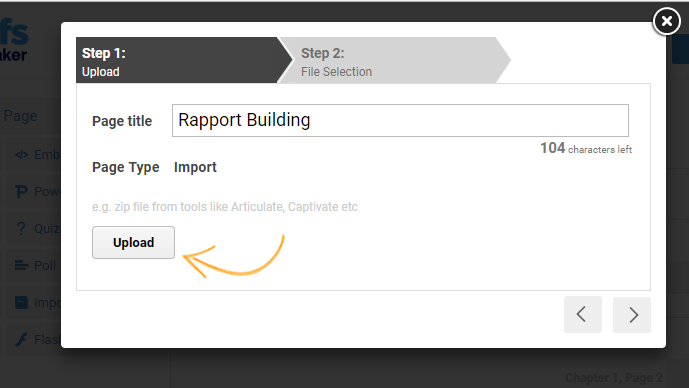 Follow the steps mentioned below to learn how you can import your existing materials to ProProfs. Step 1. Once you're on the "Create a Course" page, click on the ‘Import’ button. Step 2. Add the page title and click on upload. Step 3. Once you've uploaded the Zip file click on "Next". Step 4. 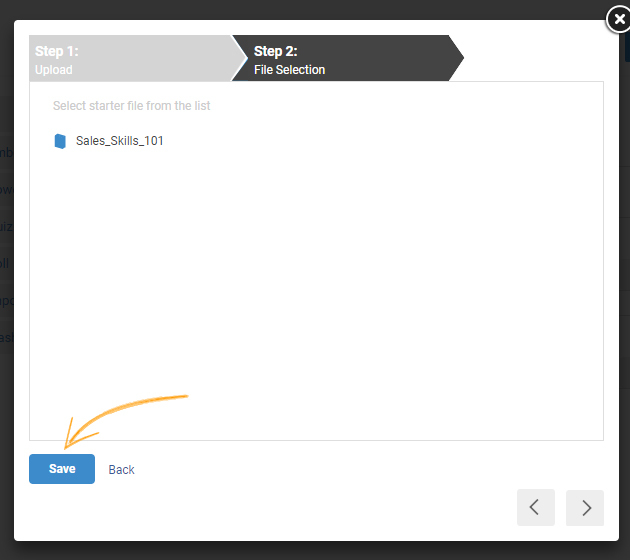 Click on "Save" after you've selected the files you want to import. Step 5. Click "Done" to save your course. How do I rename a course? How do I brand my course? How do I create, customize and brand a course certificate?